An HVAC System is very easy to use, you just turn it up or down depending on whether you want your home to be cooler or warmer and there are different types of HVAC systems. HVAC stands for heating, ventilation, and air conditioning and the HVAC systems are used for heating and cooling of buildings. 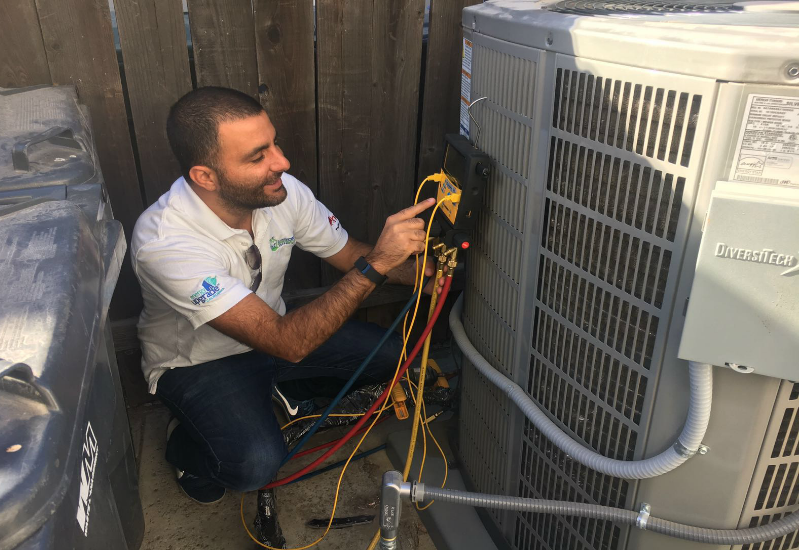 Regardless of how easy it is for homeowners to control the temperatures in their buildings, HVAC systems can be very complicated and it’s the duty of each and every homeowner to at least know the type of HVAC system that their house uses. There are different types of HVAC systems and the following are the most common types. The Heating and Cooling Split System is the most common HVAC system there is and it is very common in houses across Los Angeles. These types of systems have parts that get installed both inside and outside of the building in order for the building to maintain ideal temperatures throughout the year’s changing seasons. These HVAC systems are good for both small and large buildings because they have components such as air conditioning units, purifiers, thermostats, ducts. The heating and cooling split system is one of the most popular types of HVAC systems because it’s ideal for both heating cooling down of rooms very quickly. A Ductless heating and Cooling system also known as duct-free system is one of the types of HVAC systems that do not have ducts. These HVAC systems are ideal for homes where duct installation is not an option or can not accomodate regular regular systems with ducts. A ductless system will save you a lot of money from utility bills. A hybrid system is not that different from a regular heating and cooling system, the main difference between the two is that with the hybrid system you can use electricity instead of gas to fuel the heat pump, and this makes it more energy efficient than the regular heating and cooling split system. It’s one of the types of HVAC systems that are recommended for the areas that have cold winters because of it’s heating capabilities without raising your utility bill. A packaged heating and & Air system is one of the main types of HVAC systems and it’s main difference from the other types is that it can be installed in a building that doesn’t have enough space to fit all the components of a regular HVAC system. The packaged heating and air system have all the features in one appliance and will perform just as good as the regular HVAC systems. Whether your HVAC system is a Heating and Cooling Split System, ductless, hybrid or packaged it’s important to know it because it’s an expensive investment. For HVAC installation, repair or FREE inspection, Call Landmark Construction Crew on (818) 319-4970.